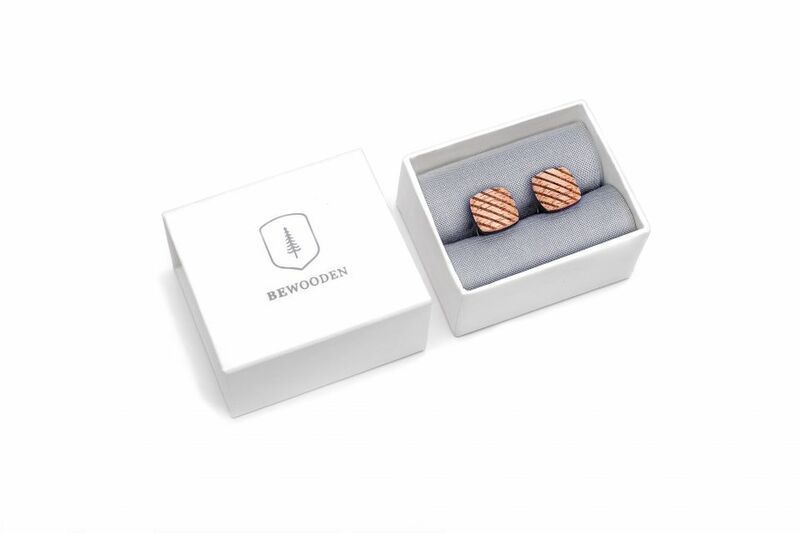 These wooden cufflinks Sull are an essential attribute to the gentleman’s accessory collection. 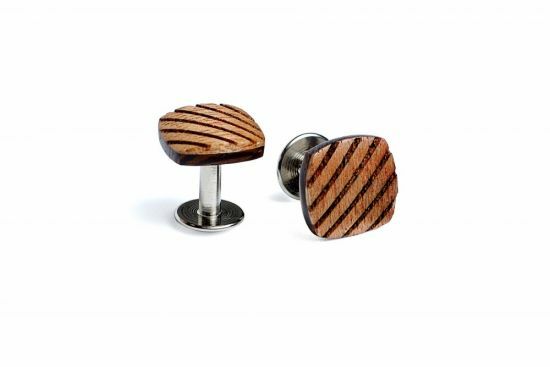 Crafted with passion from quality meranti and wedge woods and finished with special steel, this pair of wooden cufflinks is a true companion for any festive occasion. They have a rounded shape and remind one of studs. 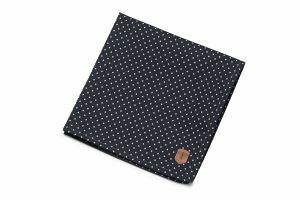 This subtle add-on to your dress shirt is precise, useful and light – at only ca. 6.8 grams – you won’t even notice it! 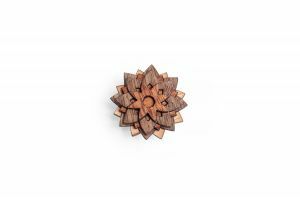 Together, the natural quality materials and the mindful way of creating this wooden accessory is a true pleasure to wear or give away as a unique and memorable present. The Sull come in a beautiful paper box.